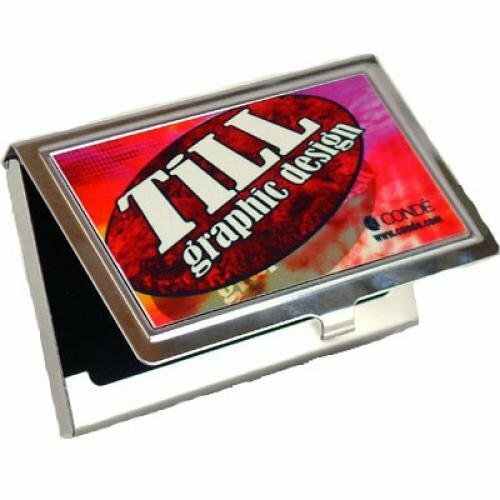 This stainless steel business card holder offers the flexibility of front full color graphics (3.5" x 2.25"), great for business logos, photographs, and more. Holds up to 15 standard size business cards. Price includes custom design with submitted high-resolution graphics or photos (please submit as .jpg files during checkout process). 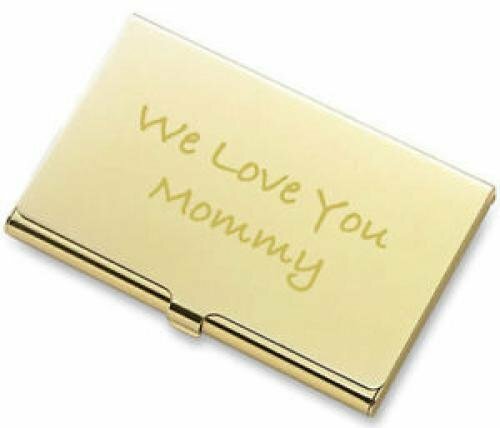 Our goldtone business card case is classic and economical, a great gift to give and receive. Holds up to 15 standard size business cards. Price includes direct engraving into the front of the case. Place in cart to order online, specify text , and select in-store pickup or other shipping method. This beautiful combination of maple and rosewood functions as both a business card case small enough for purse or jacket pocket and as card displaying desk stand. Holds up to 15 standard size business cards. Price includes direct engraving into the wood on the front of the case. Natural elements (maple wood and zinc) combine modern styling with classic function with this business card case. Holds up to 15 standard size business cards. Price includes direct engraving into the wood on the front of the case. 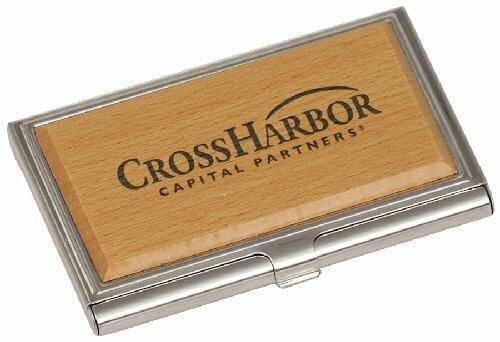 Our silvertone business card case is classic and economical, a great gift to give and receive. Holds up to 15 standard size business cards. Price includes direct engraving into the front of the case.